L- tryptophan can be converted into 5-HTP, which the body uses to make serotonin and melatonin to promote restful sleep. L-tryptophan is an essential amino acid that assists with creating proteins and brain-signaling hormones. L-tryptophan gets converted to serotonin in the body, which can help improve sleep and overall mood. L-tryptophan has a large impact as a neuromodulator and is involved with a number of central nervous system functions including mood, pain, sleep and motor behavior. Studies have shown a decrease in restless leg syndrome symptoms with continued use of L-Tryptophan. 2. Richard DM, Dawes MA, Mathias CW, Acheson A, Hill-kapturczak N, Dougherty DM. 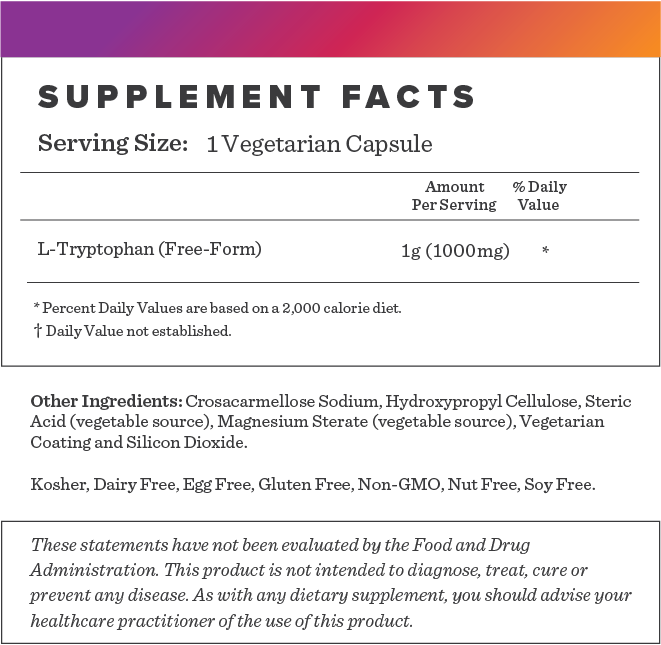 L-Tryptophan: Basic Metabolic Functions, Behavioral Research and Therapeutic Indications. Int J Tryptophan Res. 2009;2:45-60. 3. Zagajewski J, Drozdowicz D, Brzozowska I, et al. Conversion L-tryptophan to melatonin in the gastrointestinal tract: the new high performance liquid chromatography method enabling simultaneous determination of six metabolites of L-tryptophan by native fluorescence and UV-VIS detection. J Physiol Pharmacol. 2012;63(6):613-21. L-Tryptophan (Free-Form), Croscarmellose sodium, hydroxypropyl cellulose, stearic acid (vegetable source), magnesium stearate (vegetable source), vegetarian coating and silicon dioxide. 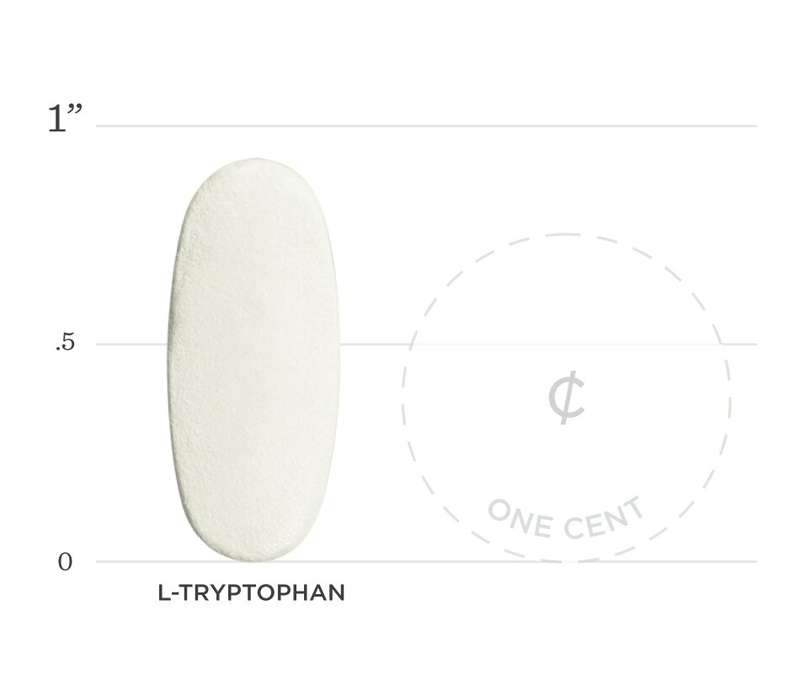 Below we've broken down the main functions of our L-Tryptophan and the benefits it can provide. Restless leg symptoms can be caused by a lack of dopamine. L-tryptophan can be converted to serotonin in the body which then can be converted to dopamine. This may help relieve the irritating symptoms of restless legs. L-tryptophan can be converted in the body to melatonin by the pineal gland which helps regulate wake and sleep cycles to promote restful sleep.